It’s Spring & WERC Graduates are Ready to Start a New Life! There is no doubt that spring is here and it’s a time of renewal and new beginnings. This is particularly true for eight new WERC Graduates who received their Certificates of Completion for the Customer Service/Clerical Training Program on Friday, April 5th. With new skills, updated resumes in hand, and prospects for a better future, they are ready to take their next steps to financial and personal independence. 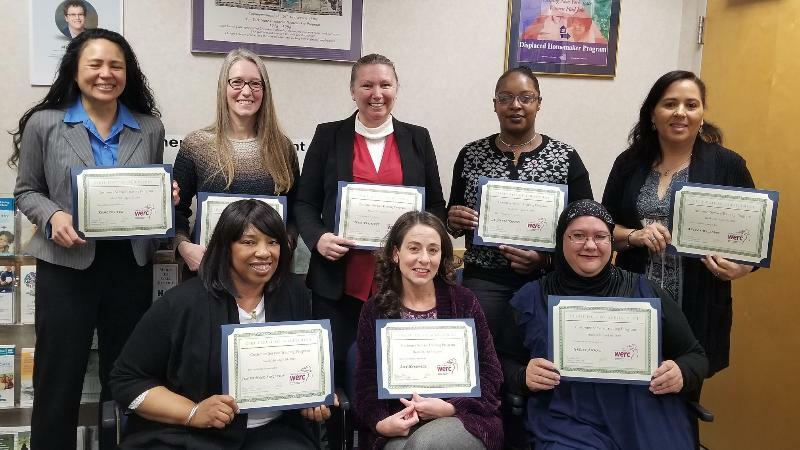 At the Graduation ceremony, several women expressed their appreciation for what the WERC program has done for them and declared they were ready for their new beginnings. For information about future training classes and workshops, please call (518) 242-8249.